I managed to sneak in a few quick pics with all the craziness I had going on this weekend. We had our Memorial Day cookout on Sunday instead of Monday. 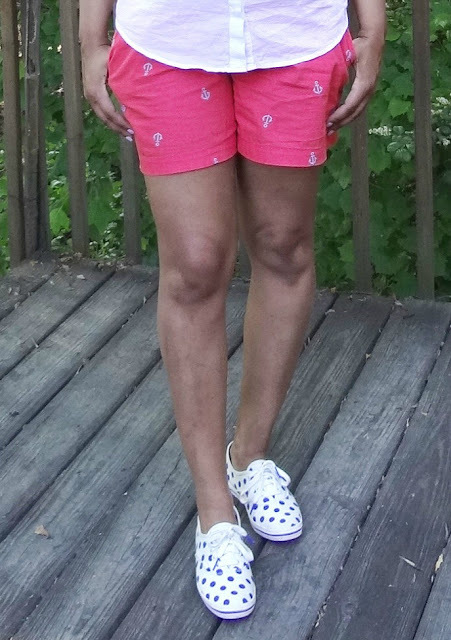 I kept my look super casual since I hosted the cookout at my house. 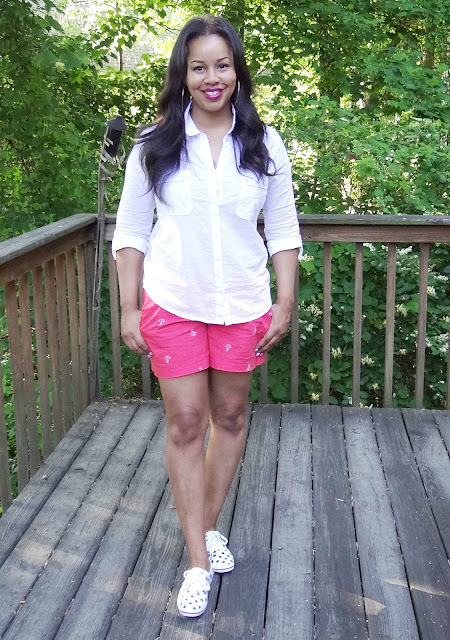 I picked up these anchor short from Old Navy before we went on our spring break trip. Not normally something I would pick up but I thought these would be cute to rock on the weekends with Peyton. And they have deep pockets! Oh, I’m putting a ton of miles on these Kate Spade Keds! So happy I bought them! They make everything cute! 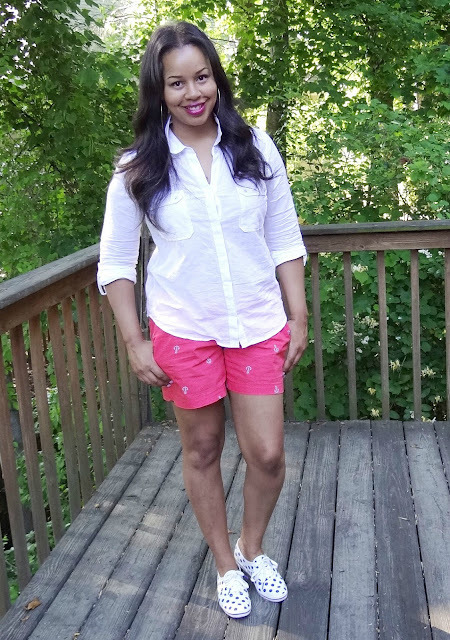 What did you wear for Memorial Day weekend? I love the Kaye Spade keds!! What did you guys cook? Very cute! Love the shorts and sneakers! I love anchors, and your shorts are too cute! Love the look! I wore a one piece vintage (pants) jumper with my black Prabal Gurung shoes. Cool and stylish outfit matched with great pair of designer footwear.. Loved it..!